Tagged AI Wafra, Al Qurain, Domestic Waste, Dumpsites, environment, garbage, Groundwater, Industrial Waste, Jleeb AI Shuyoukh, Kabed, Kuwait, Landfill, Landfills in Kuwait, Public Health, Shuaiba, Solid Waste Management, Solid Wastes in Kuwait, Sulaibiyah, Waste Management in Kuwait, Wastes, West Yarmouk. Bookmark the permalink. 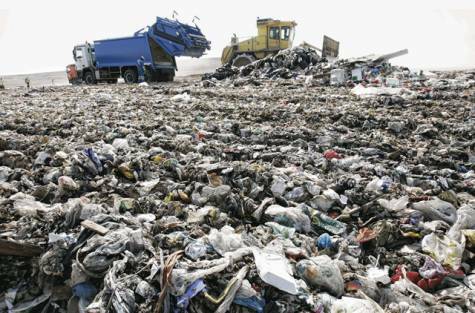 Now is the time to start solid waste management in Kuwait because they don’t have a single moment to spare. Kuwait is a small country and they will not find a piece of a land for their use in near future. Environmental pollution is a chronic effect on human health. They may get relief from many disease and reduce global warming by management of solid waste specially house hold waste. Enjoyed your comments. I find that in most countries – retro-active clean-up of landfills and energy production can only be accomplished with a direct involvement and commitment of several levels of governments – a la funding – and equally important, a very well defined go-forward policy for waste management – domestic, industrial and hazardous. I find that in most cases this is piecemeal and not well defined – not to mention lacking funding. In addition, there are many solutions being well marketed that are not proven and quite frankly not economic or worse, simply don’t work. This is an area where there needs to be more international cooperation in sharing technologies and public policy that DOES work , IS economic and REALLY addresses the waste management problems that are coming to a head today. It would be comparitively easier to implement a systematic municipal waste management system in Kuwait for multiple reasons, ranging from the area to population. It’s high time to think about it.